The Petal provides bespoke designs for weddings and events, serving Minnesota, Chicago and beyond. Our designs capture the classic beauty and elegance of a lush garden in full bloom. Transforming any venue into a serene and gorgeous reflection of the elements of nature. The Petal has been honored to have our work featured on Style Me Pretty, Wedding Chicks, 100 Layer Cake, and Lakeshore in Love. And we’d be honored to work with you to create designs for your perfect day. Tajalli Missaghi is the heart and soul of The Petal. 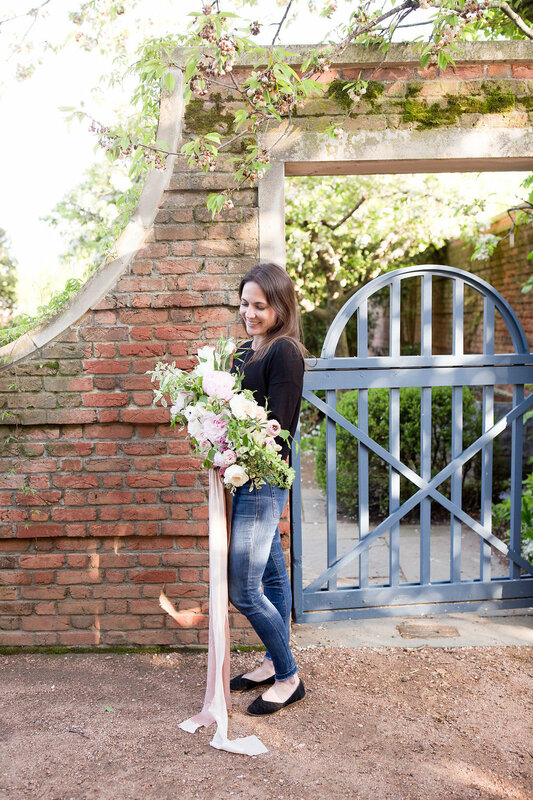 She has offered custom floral design for weddings and special events since 2008, specializing in lush arrangements that reflect a romantic, elegant, and garden style. Tajalli uses premium blooms to curate the perfect day, and creates a stress-free environment that encourages collaboration and communication. As a child, Tajalli was captivated by the beauty of flowers and the serenity of being surrounded by a lush garden. In the years perfecting her art, she’s practiced and studied different designs and draws inspiration from nature, creating arrangements steeped in timeless classic design and soft minimalism.